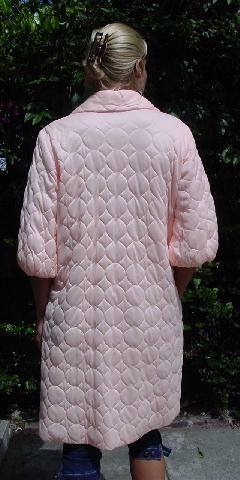 This vintage peach color robe has a very soft quilted outer surface and a color matching full lining. 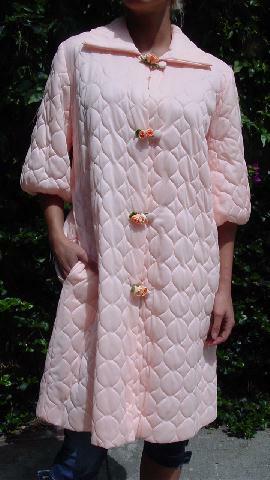 It has 3/4 length wide sleeves and 4 covered buttons and three snaps down the front. The left front side has 4 horizontal pins with 2 peach buds, 1 green felt leaf and a green fabric loop. The loops go around the fabric covered buttons. It has a wide collar. shoulder to end of sleeve 16"